FRANKFURT/TOKYO (Reuters) -- Robert Bosch said it had approached antitrust authorities in Brazil after an internal investigation revealed it had been operating a cartel in spark plugs together with Japan's NGK Spark Plug Co.
"We have reported ourselves to the authorities," a spokesman for Bosch said today. Bosch said it could not reveal further details given the ongoing nature of the investigations. 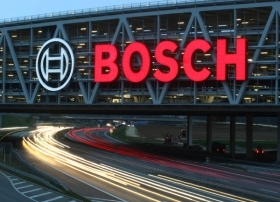 German daily Handelsblatt had reported that Bosch had contacted regulators about its activities in Brazil. Last month the U.S. Department of Justice said NGK Spark Plug had agreed to plead guilty and pay a $52.1 million criminal fine over its role in fixing prices and rigging bids for contracts to supply spark plugs and other automotive parts. Bosch ranks No.1 on the Automotive News Europe list of the top 100 global suppliers with worldwide original-equipment automotive parts sales of $40.2 billion in 2013.